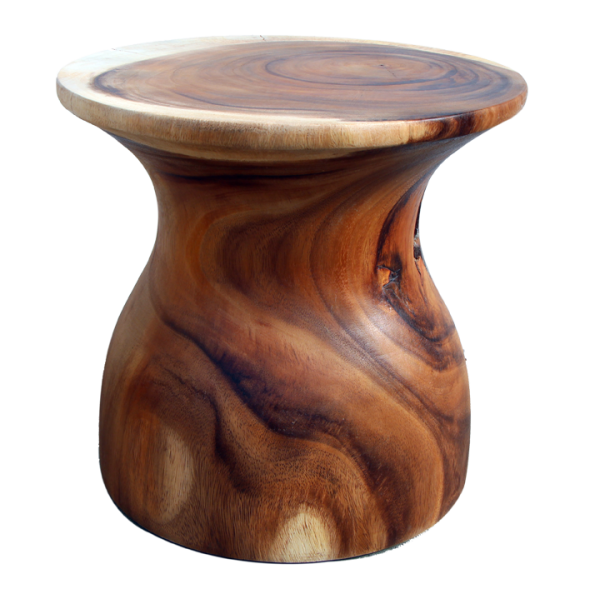 The Mushroom Exotic Wood End Tablel can function as a stool, stand, or occasional table. The contrasting exotic acacia wood tones compliment the shape. 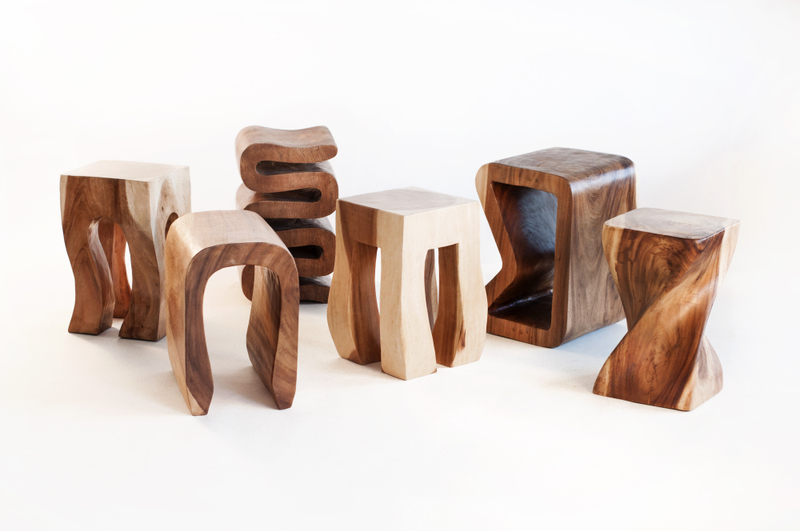 Each piece has its own character. It measures 18 x 18 x 17" tall. W 18" / D 18" / H 17" / 39 lb.